70 days have passed since July 4. So far we are in good terms po. 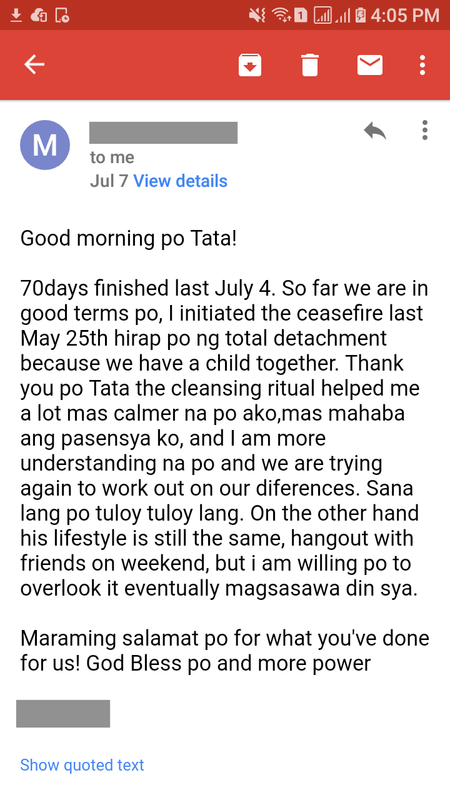 I initiated the ceasefire last May 25th. Hirap po ng total detachment because we have a child together. Thank you po Tata. The cleansing ritual helped me a lot, mas calmer na po ako, mas mahaba ang pasensya, and I am more understanding na po. We are trying again to work out on our differences.